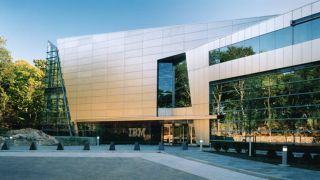 IBM wants to make it easier for university students and developers to build apps on a Power8-based infrastructure through a new cloud service known as SuperVessel. The service, which is based on OpenStack, is available as part of the OpenPower ecosystem and acts as a virtual R&D engine for the creation, testing and piloting of applications for deep analytics, machine learning and the Internet of Things (IoT). SuperVessel is based on Power processors with FPGAs and GPUs providing an acceleration service with OpenStack managing the entire cloud. The cloud is divided up into a series of online "labs" where users can gain access to open source software, build and test apps, and share experiences. So far there are labs covering big data, the IoT, and acceleration and virtualisation on Power. One partner working with IBM on SuperVessel is Xilinx, providing FPGA accelerators for the service. "FPGA-based compute acceleration is a critical part of the OpenPOWER Foundation vision to handle demanding workloads in the most cost and power-efficient way. For this reason, a CAPI-enabled Xilinx FPGA is attached to every IBM POWER8 node in the SuperVessel cloud. The research and development being done in SuperVessel is helping to define the future of heterogeneous computing," said Hemant Dhulla, Vice President of Data Center and Wired Communications of Xilinx. OpenPower has been around since 2013 when IBM began the OpenPower Alliance in conjunction with Google, Ubuntu, Samsung, Nvidia and Micron, with 100 members in 22 countries across the globe at the last check.